My youngest has always been obsessed with animals. Animals of every kind. She reads about them, writes about them, and wishes she could own them all! Instead, when she was younger, I tried to incorporate animals into as many of our homeschool lessons as I could. We actually did elementary biology for three years in a row, because she just wanted to study animals. 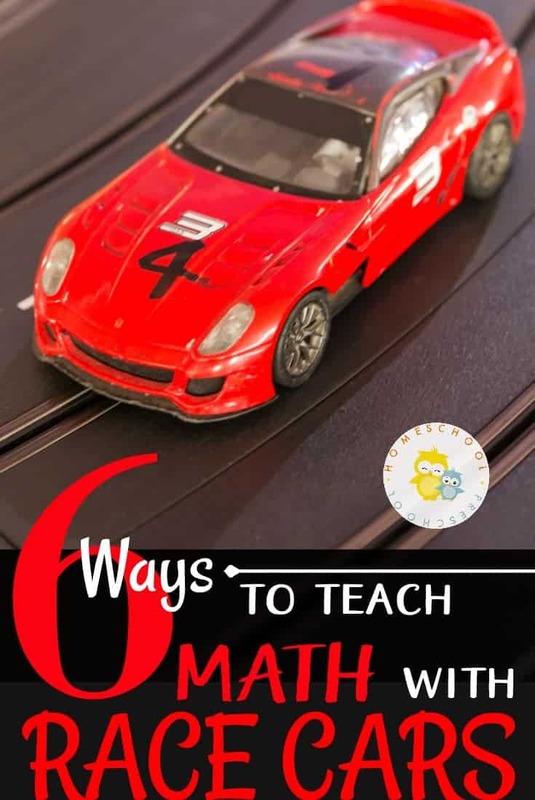 She would have loved an activity like this when she was working on her beginning math skills. Adding with animals takes the monotony out of math practice. 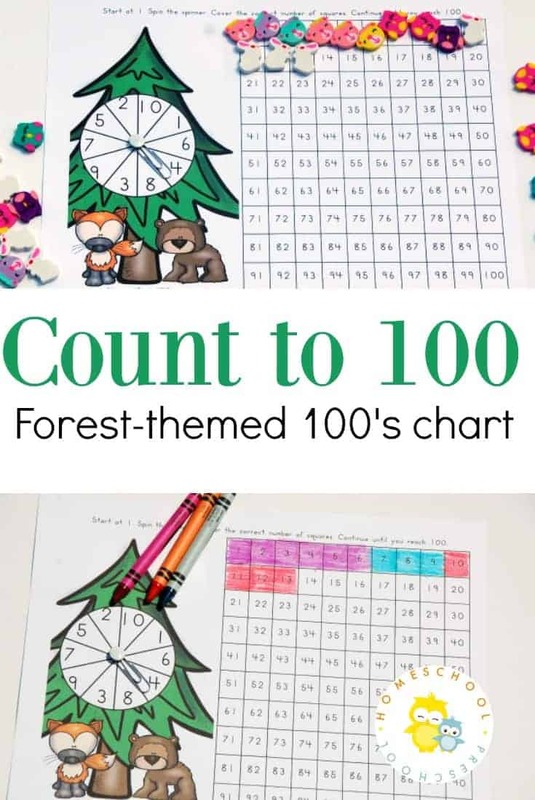 Put the flash cards away, and let your kids practice counting to 100 with this forest-themed hundreds chart. This activity has virtually no set-up. You just print out the page, laminate it if you want, and it’s ready to go! 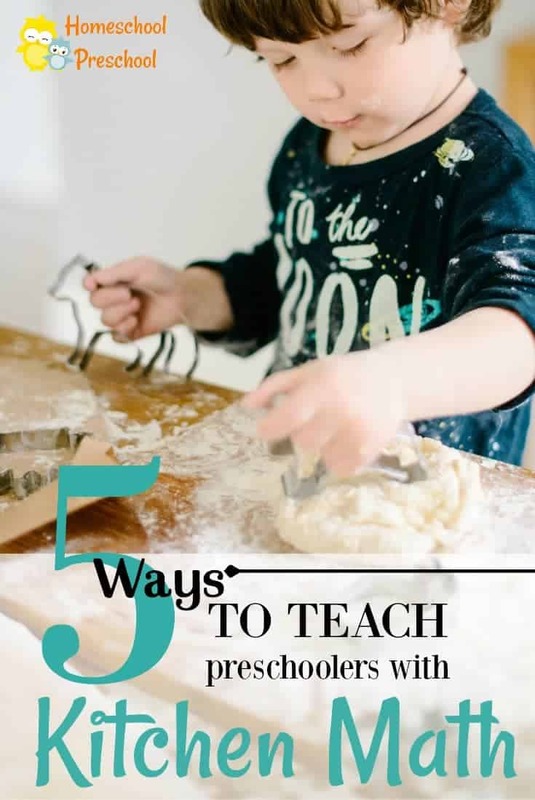 There are two ways to use this activity. It depends on whether you want this to be a one-time activity or you want to use it again and again. Have your child spin the spinner. Starting at one, put a counter on that many squares. For instance, if they spin a three, have them cover squares 1-3. You can use just about anything for a counter. We used mini erasers we found at Target since you can find bears, owls, and rabbits in the forest. If you don’t have those on hand, you could use buttons, mini-pom poms, or even pennies to cover the spaces. Continue on in this manner until you reach 100. If you laminate this page, it can be used over and over again. As with version one, the child will spin the spinner and identify the number. Starting at 1, have your child color in the same number of squares. 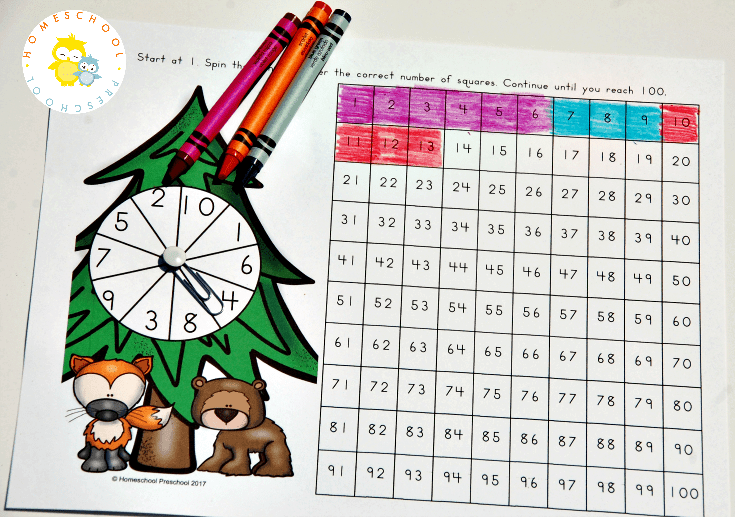 For instance, if your child spins 8, have them color in squares 1-8. This is great for kids who love to color and kids who need a little practice with their fine motor skills. You could have them use a different color for each consecutive spin for another twist. 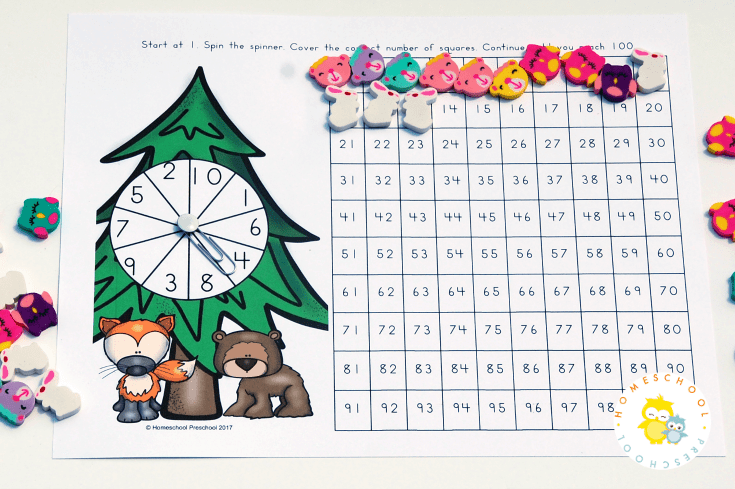 This forest-themed hundreds chart is a great way to reinforce counting to 100 with your preschoolers. 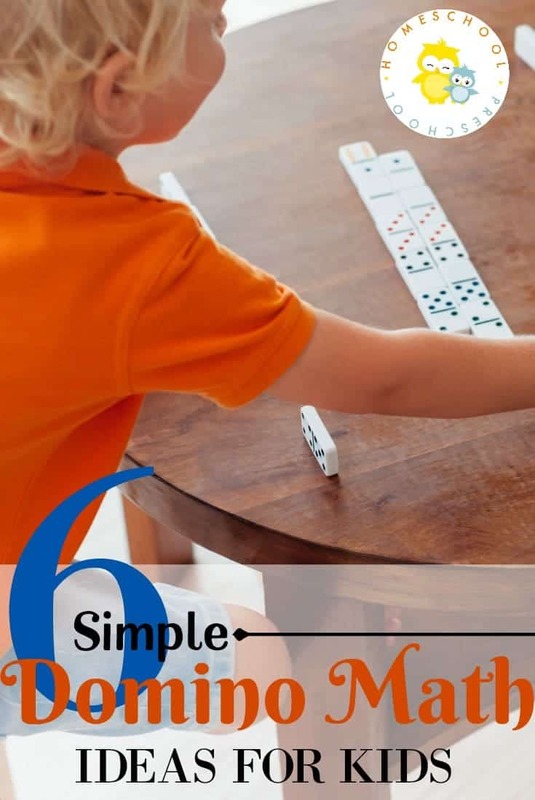 If you have your child say each number aloud as he covers it, this activity becomes a great way to see which numbers he still struggles to identify, as well.